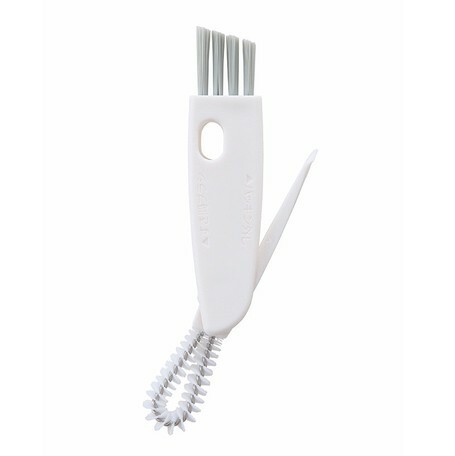 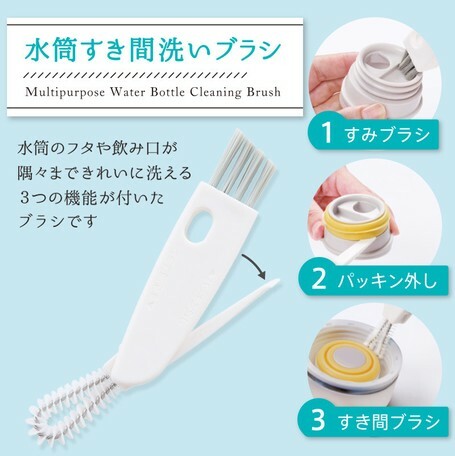 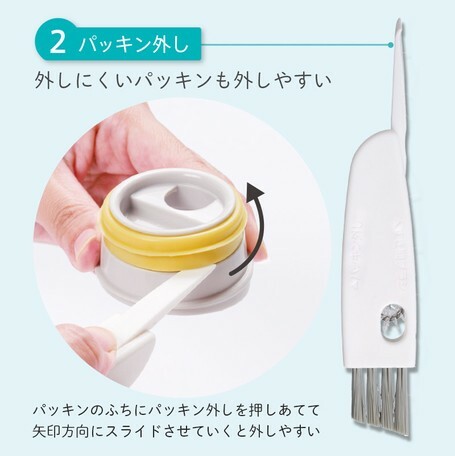 It is a brush with three functions that can wash the lid and drinking mouth of a water bottle clean every corner. 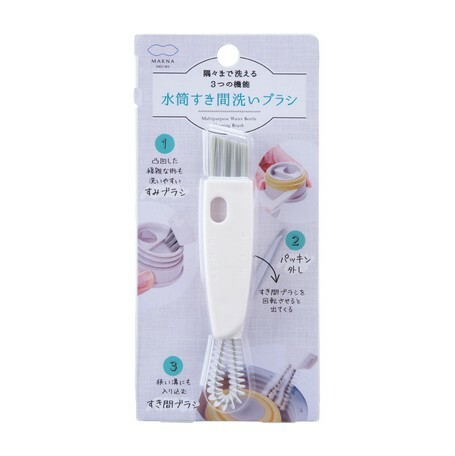 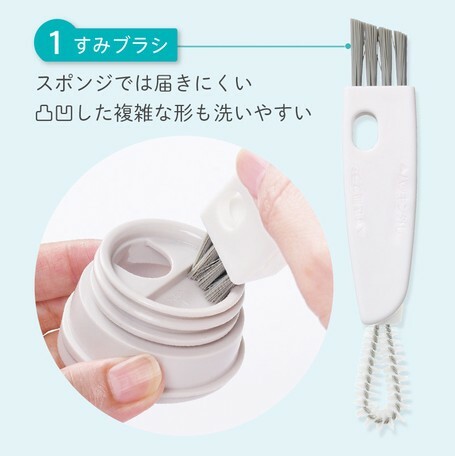 ● Sponge hard to reach complicated shapes that are uneven and easy to wash "Sumi brush"
● Packing that is difficult to remove is also easy to remove "Packing removed"
● Get in a narrow groove and scrape dirt "Clear brush"
It was introduced on February 15, 2018 Nippon TV "Hirunandes!" 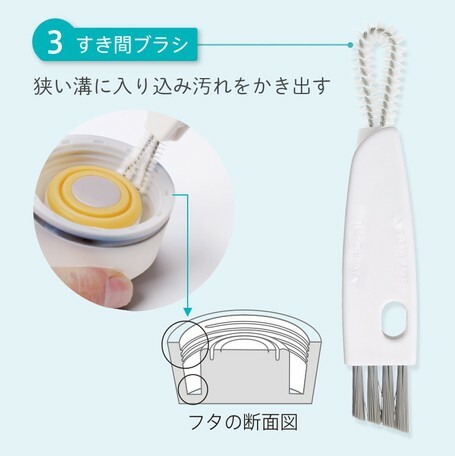 ※ Please do not place near fire or where it gets hot. 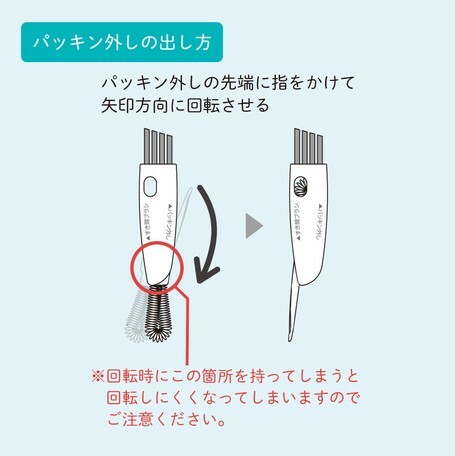 Please be careful not to damage packing when using packing disassembly ※.